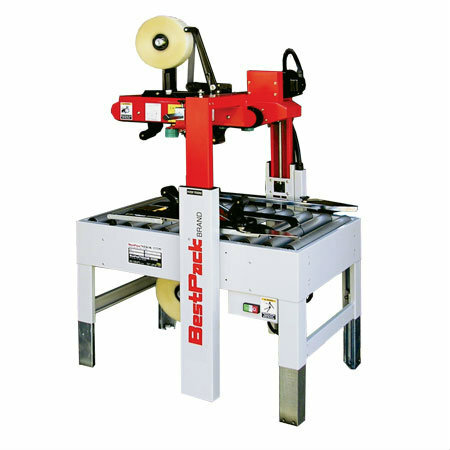 The BestPack MTD Series are Semi-Automatic Adjustable Tape Carton Sealers engineered for economical and effective operator fed closure applications. Our new telescopic mast design for the MTD allows for a wider range of boxes and better sealing stability. The MTD system also provides light to heavy duty carton sealing. These units are four-belt driven and come standard with a manual, self-centering mechanism that permits the operator to quickly center the carton and the tape. Adjustable Bed Height from 23.0" to 29.1"